Waterproof boots from Red Wing Richmond are specially designed for one purpose: to keep your feet dry! Chances are, you’ve had the unfortunate experience of getting a little water in your boot from time to time. It’s uncomfortable first and foremost, and if left untreated it can lead to some serious issues with your feet. Now, imagine you worked in a place that required you to get your boots wet all the time. Without a pair of waterproof boots, you might be soaking wet and miserable the whole day at work. Why stand for that? 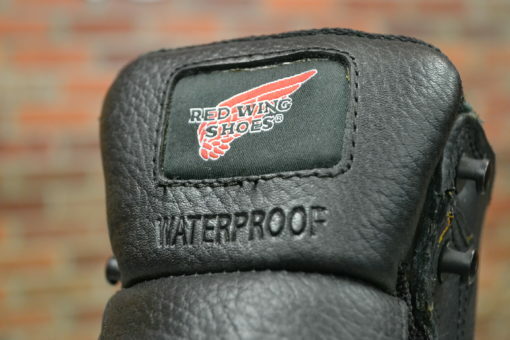 Red Wing waterproof boots are designed to completely seal your feet from water. Most of these boots are double, and sometimes triple waterproofed to provide unyielding protection from moisture. So if you’ve got a job that requires waterproof boots, check out Irish Setter, Vasque, and WORX brands. Get Dry! Get Red Wing Waterproof Boots! On the job, wet feet are the absolute worst. So why are you putting up with that? Get custom fitted for a fresh pair of waterproof boots and get back to your best. Stop by any of our three Richmond area Red Wing Shoe stores, leave us a message on Facebook, contact Red Wing Richmond online, or call us!